Oh my gosh! 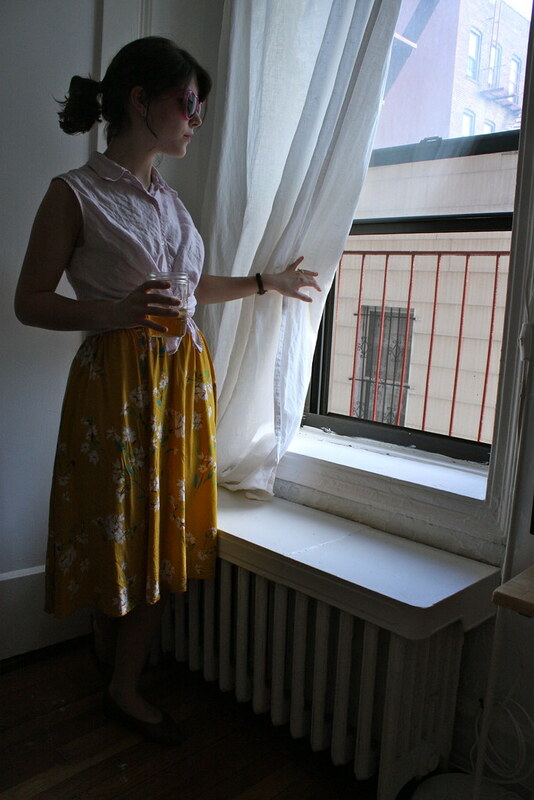 That skirt and that blouse and those glasses and your hair and the window it's all so lovely! Seriously your hair though I'm tugging at my frizziness, and I'm just so disappointed gosh. Just so pretty. 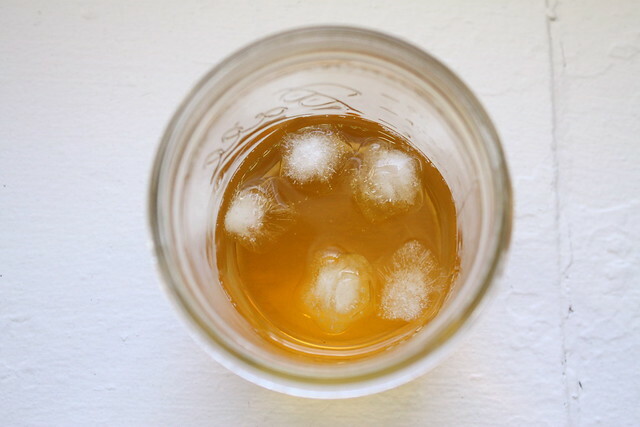 Yum, iced green tea! So good in hot weather. I love your skirt, it's so pretty! I talk about the weather waaay too much but it's the #1 influence on my outfits! I always think "OK, why am I wearing this?" The answer always has something to do with the weather, lol. 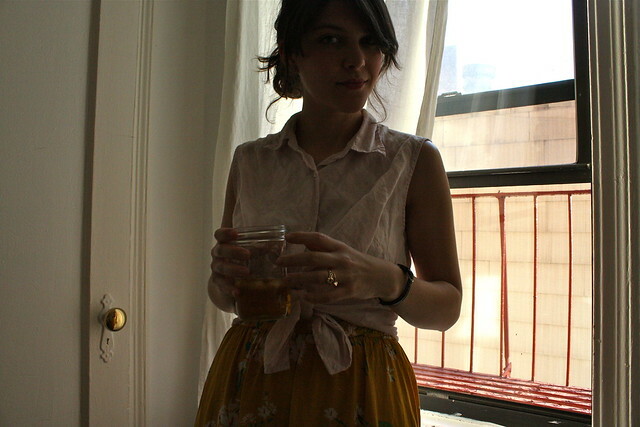 Now I can live vicariously through your blog and pretend I am enjoying warm weather and wearing a gorgeous yellow skirt! Ahh! You are so cute! I love that skirt and shirt combo! You dress how I wish I dressed! It's almost making me envious that I'm just about to go into winter, but the allure of cozy knits and Nanna -blankets is just winning. Oh that skirt is perfection and I'm loving your new room! I share your weather so I readily agree. The outfit is cute, the glasses and skirt especially. Ugggh that skirt is my favorite thing- my favorite length and color. The weather has been insane!! It's made me so so happy the past couple days. My bike rides to work have been dreamy and I've been doing fun summery things after work like cold patio beers and hikes to see the sunset. So perfect. ANNND we're back to regular old springtime chill. BLERGH. We were treated to some weather like that last month...I'm still waiting for it to make a comeback! I could deal with summer easier if it weren't so sticky, so last month was a nice little treat. Aw these pictures are pretty. Your skirt has such a nice pattern and vibrant color. Also this post makes me want green tea.